Jack Frost is Nipping at Her Nose. 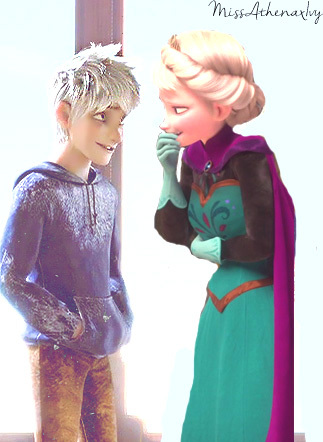 I liked the idea of Jack always making Elsa laugh, even when shes down.. Wallpaper and background images in the croisements Disney club tagged: photo jelsa jack frost elsa disney frozen dreamworks. This croisements Disney photo might contain vêtements de plein air, survêtements, vêtements de dessus, vêtements d’extérieur, overclothes, hip boot, thigh boot, and chemisier.